I’m not sure how else to describe Devin Hester. During my current 2010 NFL replay, he has returned a punt for a touchdown on three of the last four weeks. He had a 72-yard return against the Packers. Two weeks later, he returned a 71-yard touchdown against Carolina and followed it up with a 65-yard scamper against Seattle. I’m not certain if I’ve ever played with a more lethal return card. 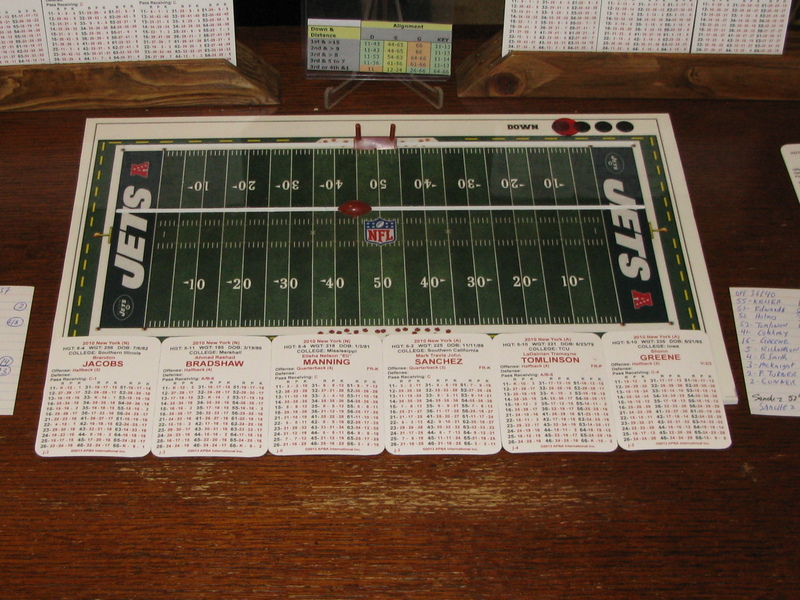 At the conclusion of my 1969 AFL/ NFL replay, I will replay the 2010 NFL season using the official APBA set and the Master game booklet. The replay will consist of 256 regular season games, ten playoff games and Super Bowl XLV. I will be using all of the innovations outlined in my “Method of Play” to increase playability and statistical accuracy. To kickoff this season, I’ve replayed the exhibition game between the New York Jets versus the New York Giants. This game should have been dubbed the “Unveiling”. It was the unveiling of the “New Meadowlands Stadium”, the New York Jets “Ring of Honor”, Victor Cruz, key free agents, and Eli Manning’s head after his helmet got ripped off.